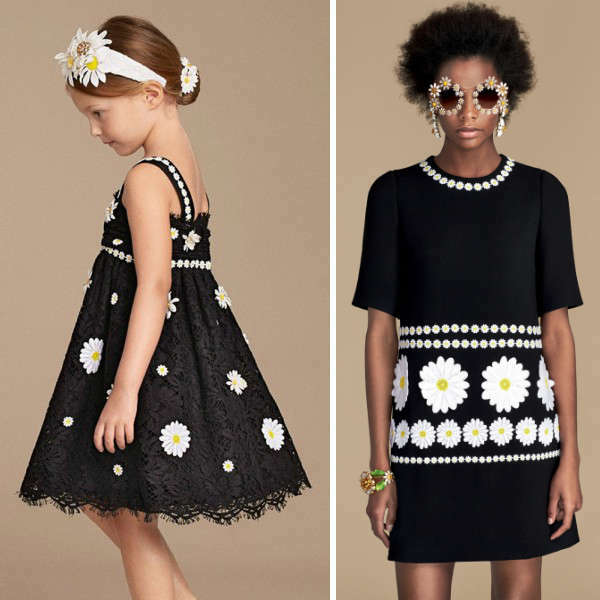 Gorgeous girls mini me black lace and daisy dress by Dolce & Gabbana taken from the Dolce & Gabbana Women's Spring Summer 2016 collection. This beautiful fresh daisy inspired dress is designed with silk shoulder straps, and features an embroidered with dainty floral appliqué. 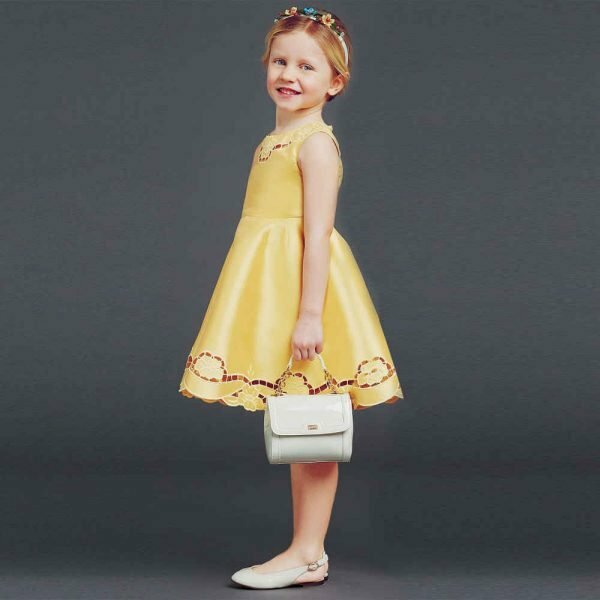 Prefect for any special occasion this stunning dress has a fitted body with a full and flared skirt. The gorgeous overlay of black lace is embroidered with daisies and it has a back zip fastening. A special touch is the tulle net underlay, with a gorgeous silky satin lining, edged with lace.